Description: Does she love to play with Barbie dolls? She will love to sleep or play dress up in this! 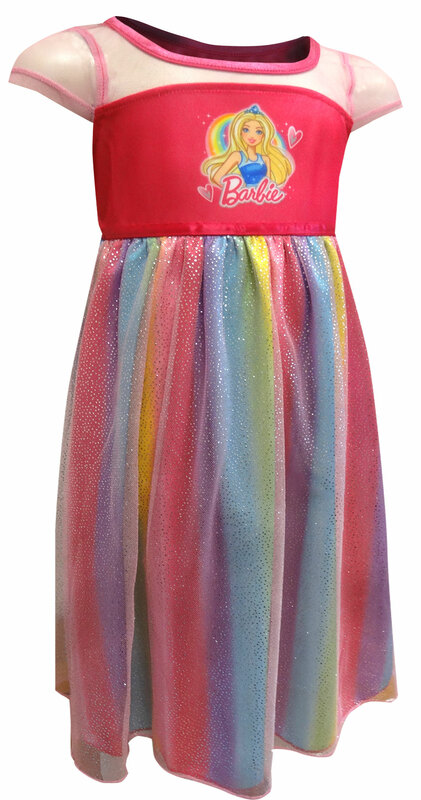 This pretty nightgown for girls features Barbie at her finest. 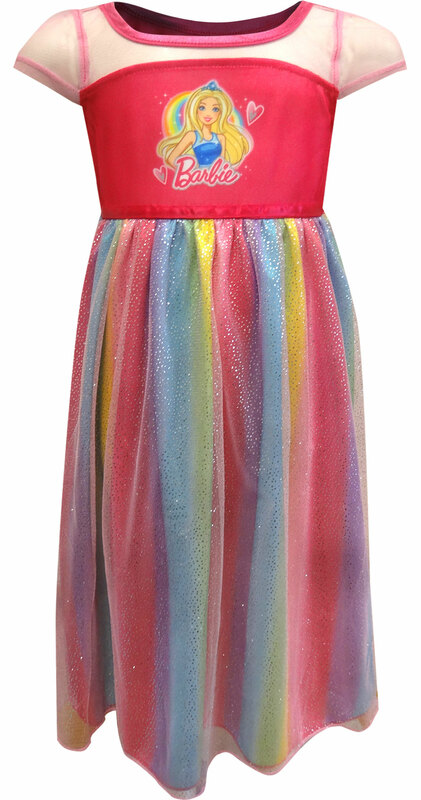 The rainbow sparkle sheer overlay on the skirt make this simply dreamy! Nightgown is made of flame resistant polyester fabric, machine wash in a lingerie bag.